Warranties in the Indian consumer durables market surveyed. Beware of robocalls and mailers peddling extended auto warranties. Yanmar America lengthens tractor powertrain warranty to 10 yrs/3,000 hrs. Tippmann Innovation lengthens industrial freezer warranty to 3 yrs. Fortegra partners with University of Delaware student development initiative. Aldi supermarket sells budget clothes dryer with 3-yr warranty. PA Attorney General says dealer sold valueless warranties to customers. Plaintiff sues EGV telemarketing company for unsolicited phone calls. Louisiana-Pacific optimizes warranty processes with Mize Warranty Software. Transmission defect impacts Nissan 2005-10 Frontier, Pathfinder & Xterra. Lexington National Specialty offers CLIPs to auto dealers. Rossi adds enhanced warranty on revolvers prone to fire when dropped. Elation Professional lengthens LED warranties to 3-to-5 yrs. Some Sears customers complain of problems getting warranties honored. Why home warranties aren't a good bet for homeowners. When it makes sense to buy an extended car warranty. Furniture maker backs out of deal when client demands 10-yr warranty. NHTSA investigates 3 million Hyundai and Kia vehicles for fires. Phillips 66 offers engine warranty on Guardol FE 10W-30 oil. Salesforce's Einstein add-on can recommend extended warranties to sales agents. Nuvera recognizes revenue after learning how to estimate future warranty costs. PowerGuard launches residential solar protection plans for dealers. Trade group fights against service and warranty abuse. Cross Country Home Services wins 5 Stevie Awards for Sales & Customer Service. Select Home Warranty doesn't cover hot water heater leaks. Zurich North America acquires Sea Pine Technologies. Century Arms covers heavy duty AK rifle with a lifetime warranty. Fred's Appliance nabbed for selling service contracts without a license. Safeware hires Amber Payden as a program development manager. Direct Energy decides to focus on home protection plans and home warranties. Magna International reports higher warranty costs in 2018. TruNorth Warranty signs on as Official Commercial Truck Warranty of NASCAR. Judge fines CarGuardian Warranty $10,000 for unsolicited telemarketing calls. Drivers left unsure about car warranty repair rules. Brigade Electronics lengthens camera warranties to 3 or 5 yrs. BBB says complaints are up about vehicle service contracts in St. Louis. RAC Dealer Network to recruit 200 new dealers in 2019. ServicePower announces 20% total revenue growth year-over-year. Allianz Partners reports a 6% increase in 2018 UK warranty revenue. Daktronics says warranty costs fell from 2.9% to 1.6%. Ontario to replace Tarion with new home warranty regulator. Ontario explores whether to break Tarion's new home warranty monopoly. Pay attention to the warranty when buying a commercial refrigerator. Hawaii residents hit by expiring warranty scam. MyOpal Services relocates to Petaling Jaya, Malaysia, signs Carsome deal. Ivory Homes voids warranty when customer is rude. Skoda Auto India lengthens warranties from 4 to 6 yrs. Lion Brands closes, leaves luxury watch warranties in limbo. Homeowners face long list of problems with Pulte Homes. Recent insights on automotive warranty claim rates. Deere's Agriculture & Turf segment reports higher warranty costs. Xcelerate, Endurance & AmTrust to sell extended warranties for electric vehicles. Asurion to double its Houston workforce to more than 800 employees. Triumph Motorcycle India to sell extended warranties. Twin Commander Aircraft lengthens windshield warranty to 36 mos. Continental lengthens agricultural tire warranties to 10 yrs. Assurant Global Lifestyle net earned premium tops $5.1B in 2018. Marsh appoints Greg Gadbois as senior VP of business development. Amynta Group promotes Adam Pope to president of sales. StoneEagle Inc. merges with F&I Administration Solutions LLC. Parent of Angie's List & HomeAdvisors acquires home warranty company. After, Inc. to exhibit at Field Service Medical Conference in San Diego. San Francisco's Transbay Transit Center, under warranty, remains closed. New Canadian Coast Guard ships roll excessively, crews say. Le Creuset has the best cookware warranty policy. Skid steer manufacturers adjust their warranties to better compete. Assurant sees shift towards longer used car service contracts in UK. Tata Sky DTH set-top-boxes will now get 3-yr warranties. Apple Store employees told to push iPhone upgrades over repairs. American Home Shield explains home warranty plans. DCN Hyundai in New Jersey evades warranty refund requests. Managing warranty, recall, and litigation risk for automotive suppliers. Another anti-trust lawsuit filed against Reynolds and Reynolds. Aqua Care USA goes out of business, takes lifetime warranties with it. SaniServ and SecoSelect lengthen foodservice equipment warranties to 5 yrs. Detel to sell extended warranties for its LED televisions. Tesla Starman's Roadster warranty expires on distance. JCPenney to stop selling appliances at the end of February. Making car manufacturers honour your warranty. Wavestore WR-Series video gear gets 5-yr warranty. National HouseCheck brings Certified Pre-Owned Home program to Austin. Mize welcomes service expert Michael Blumberg as chief marketing officer. RAC Dealer Network sees 13% increase in extended warranty sales. Piper Aircraft adds 500 flight-hours to its M600 warranty. Airinmar to provide warranty management services to low-cost European airline. Exit Technologies to warrant used video cards for 90 days. Cambium Networks lengthens warranties to 3 to 5 yrs. Armenian operator Ucom adds 16-month special warranty for smartphones. Choice Home Warranty fixes furnace after TV reporter intervenes. Opportunity outlasts its 90-day warranty on Mars by 15 years. Megaputer Intelligence plans WCM workshop on warranty fraud & text analytics. Certified used cars vs. extended warranties: Which is better for you? Samsung revises smartphone warranty terms in Iran. 2-10 Home Buyers Warranty announces its top sales people for 2018. Safeware's Campus Store Program gets marketing award. Indictment says MRI machine's warranty required union electricians. Hundreds of Service America customers still waiting for refunds. LG offers up to 5 years warranty for customers in Germany & Austria. Tata Harrier SUV warranty & service contract options leak to press. 2 Cheap Cars faces legal action over warranty waivers. Johnson & Johnson starts warranty refunds for Animas insulin pumps. Ideal Commercial Boilers offers 5-yr warranty to customers who register. Service Line Warranties pays Little Rock for every new warranty sold. AmTrust & Endurance Dealer Services launch VSCs for electric vehicles. 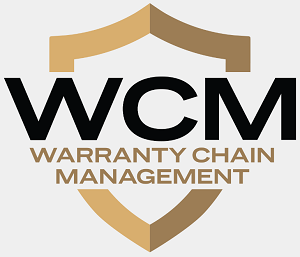 Data tracking for warranty claims can be incredibly useful for fleets. AmTrust signs agreement with PCMI to automate and enhance reinsurance. Cartier can't find parts to fix old clock despite lifetime warranty. American Home Shield again wins Annual Home Warranty Award. Safeware says high-end laptop extended warranty sales rose 18% in 2018. Expert says on-demand insurance is replacing extended warranties. American Home Shield is one of the most reasonable companies in home warranties. GWC Warranty wins two top employer awards. Changes to the Australian Consumer Law will change warranty text. HP adds promotional second year of warranty coverage for DeskJet printers. SunPower, Panasonic, and LG ranked as best solar panel brands. Paul McCarthy hired as vice president of national sales of AUL Corp.
Mercury Marine presents 2018 Customer Satisfaction Index awards to dealers. Rules in Canadian provinces differ over new home warranty coverage. Ford will honor 2020 Mustang Shelby GT500 warranty on a racetrack. Sears reaches deal with Eddie Lampert to save company and 425 stores. Car warranty complaints lead Iowa Consumer Protection Division list. Falken Tires expands its Road Hazard Protection Warranty. Guidelines to writing a warranty. OnPoint Warranty finalizes series A funding and signs insurance partner. Ford lists higher warranty costs in North America among its financial challenges. Indoor golf dome replacement roof to get 20-year warranty. Home warranty industry has serious customer service problems. HomeServe launches $10,000 "Home is Where the Heart Is" sweepstakes. Lawyer in Utah home warranty fraud case pushes for dismissal before trial. Comparison of electric vehicle warranties. Fortegra Europe Insurance Co. gets A- (Excellent) rating from AM Best. AAGI announces 2019 F&I Certification School schedule. Better Business Bureau warns of vehicle service contract scam. 22% of UK extended warranty buyers said they felt pressured. Lavatools lifetime warranty covers virtually nothing. Bobcat lengthens warranty to 2 yrs or 2,000 hours. Used car powertrain warranties come with many catches. Royal Administration says failed transmission was pre-existing condition. FCA US signs diesel emissions consent decree, pays $800m penalty. REC Group lengthens solar product warranties to 20 yrs, options for 5 more. Here's what to do about your Sears extended warranties if they close. What happens to Sears warranties if they liquidate? AmTrust announces retirements and promotions following privatization. Australian IT warranty company National Warranty Services (NWS) has closed. Magellan's lifetime warranty on GPS unit turns out to be 3 yrs. Samsung and Apple retain customers by providing better warranty service. South Korean regulators to double smartphone warranties to 2 years. Autotrader lists best certified pre-owned vehicle deals. American Guardian Warranty Services to exhibit at the 2019 NADA Show. 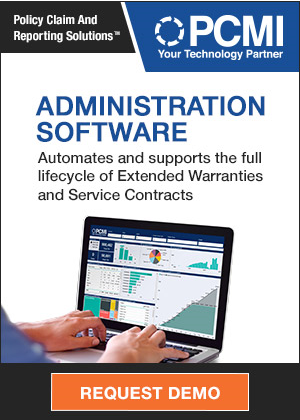 Vehicle Administrative Services partners with Alpha Warranty Services. Here's what a Sears liquidation may mean for customers. NHTSA & FAA accident probes on hold during gov't shutdown. Mitsubishi Motors Philippines announces warranty extension program. Court gives Eddie Lampert another chance to save Sears. CareGard names Bryan Myers & John Zwart as VPs. AppleCare+ warranty program now includes theft and loss coverage in UK. Microsoft renews extended protection services agreement with AmTrust. Amynta Group acquires ClearView Risk Holdings. Renault Bank provides warranty and insurance products in Ireland. Volkswagen announces 4-yr warranty in India. How to cancel a vehicle service contract and why you might want to. DroneShield's anti-drone gun has a 12-month warranty. Alliance Tire Americas introduces 10-yr warranty on farm tires. Atomic Pest Control buys Amera's assets but not its warranties. Expiring warranty scam reappears in Kentucky. Batribike offers 3-yr battery warranty for its electric bikes. Maiden Holdings returns $700m in gross unearned premium to AmTrust. Toyota bows to pressure, boosts Australian warranty from 3 to 5 years. Volkswagen and Audi timing chain warranty extended. Some customers in limbo as Service America closes. OnPoint Warranty Solutions and Starr Insurance launch warranty products. Podcast profiles SquareTrade CEO Ahmed Khaishgi. Pakistan finds collapsed air bridge was under warranty. GWC Warranty adds Andrew Huber as its product strategy manager. Minnesota Sports Facilities Authority wants 5-yr turf warranty. Philadelphia City Council members promote American Water Resources. Subaru Australia's new 5-yr warranty makes Toyota look bad.